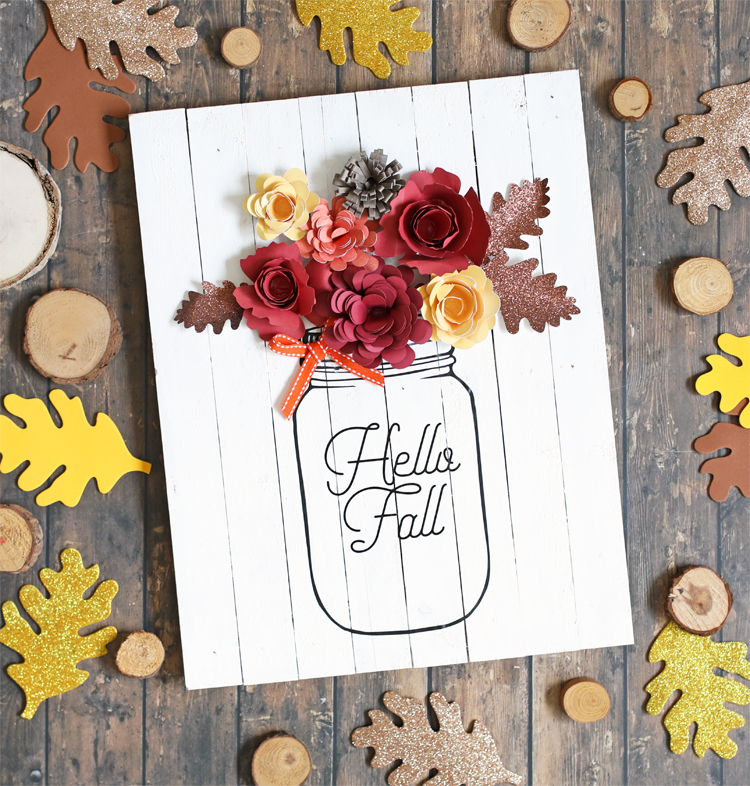 This DIY fall decor features a pallet wood sign with a “Hello Fall” mason jar filled with rolled paper flowers and paper autumn leaves. Download the free cut file below. 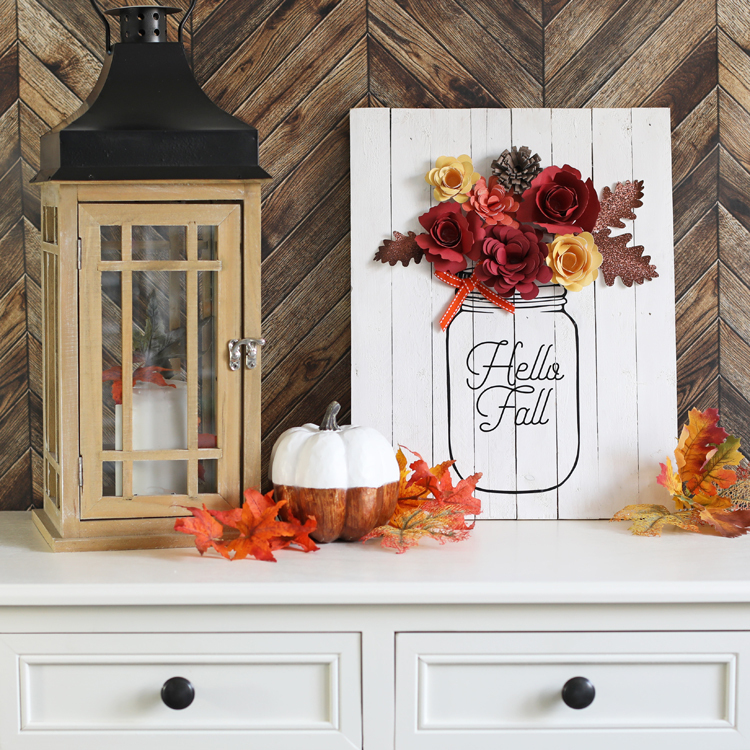 Fall is right around the corner and I’m so excited to decorate my home for the new season! 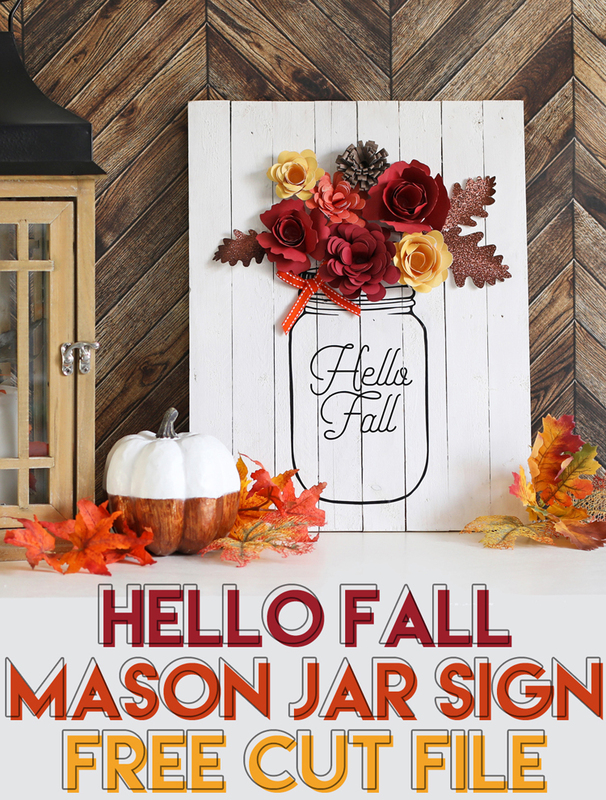 I made the cutest mason jar pallet wood sign full of autumnal flowers and today I’m sharing the tutorial and free cut file so you can make one too. Paint or stain the blank sign. 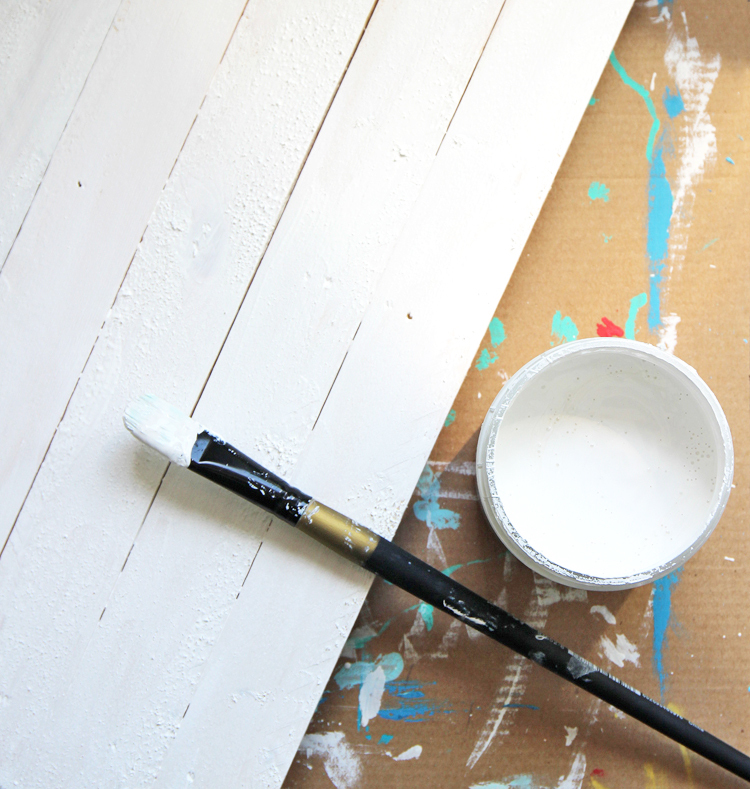 I used my favorite white chalk paint from DecoArt. 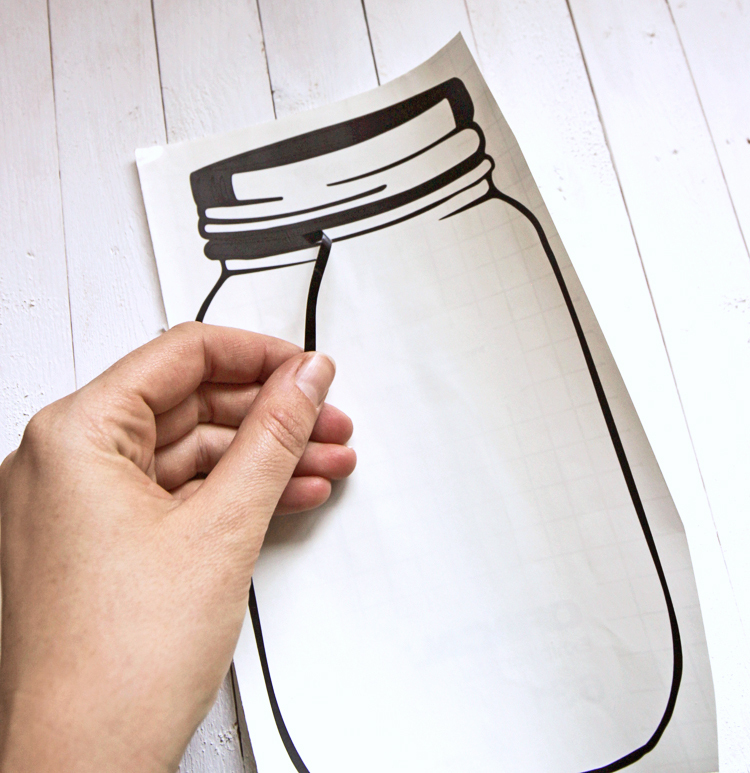 Cut out the Hello Fall mason jar using black adhesive vinyl and a Silhouette machine. Weed excess vinyl. 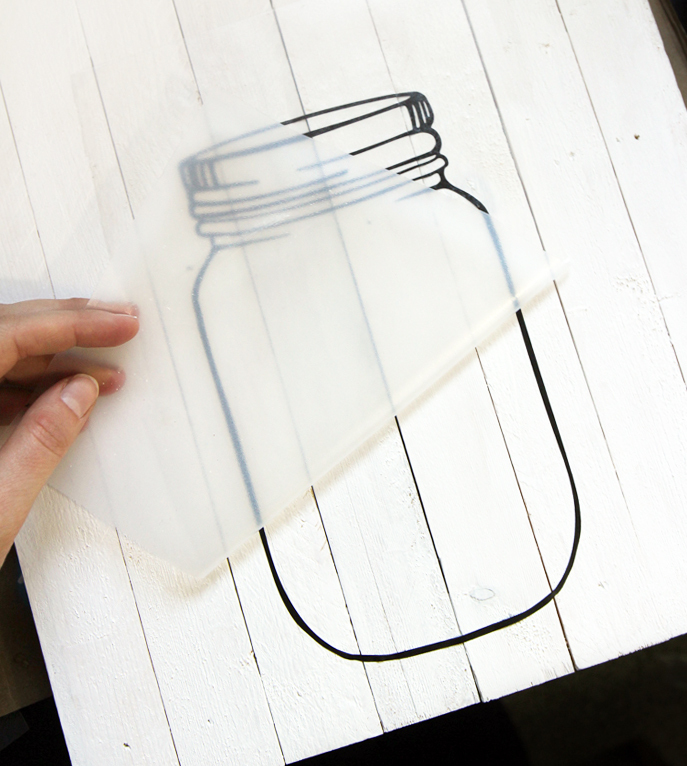 Use transfer tape to apply the vinyl design to the wood sign. 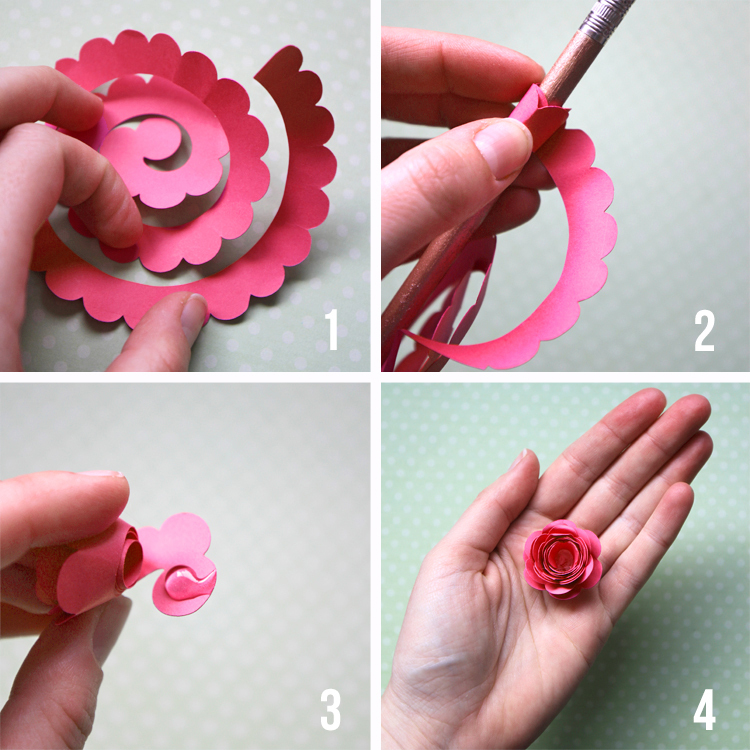 Check out this post about how to make rolled paper flowers if you need more detailed instructions. Glue the paper flowers onto the sign. Add a bow and paper leaves if desired. Watch the project come together in this quick video tutorial. Hi, i Hot this Mail with teh Fall SVG. But it’s only a blank white paper. Am i doing something wrong, or is it a mistake in the svg file? Hi Sybille, I just fixed it and there are now two different file types to choose from. Just click directly on the links at the bottom of the post. Got jar file. Cannot get flower cutout pattern. If you have a Silhouette machine, they have a lot of different flower designs available in the Silhouette Design Store. Most are only $1. Thank you for sharing love the design. This is beautiful!Love it! Thanks so much! I just fixed it and gave you two different file types to choose from. Great idea – simple and really adorable. Thank you for sharing it with us. I’m so in love with this, can’t wait to make it. What size did you cut out the flowers? When the spiral shape is flat, most of the flowers were between 6-8 inches across. Hey Jen , this is a really great project for all seasons !! Just keep changing the color of the flowers ! 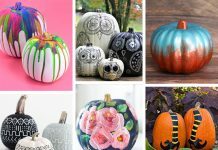 Just pinned it to Pinterest thinking to give it a try !